I'm not a mom. I always thought I wanted kids, but between life happening and medical issues, they've been off our radar for awhile. Paired with all the nightmarish things I've been seeing in the media lately about cops being called and kids being taken away from parents who dared to close their eyes for a minute, I often find myself thinking "I'm so glad I don't have kids." Don't get me wrong. Kids are fun and they are a blessing. If one comes along, I'd be thrilled. But in the meantime, I'll watch Odd Mom Out and appreciate the fact that my level of stress is nowhere near that of the moms on this show (and all moms). 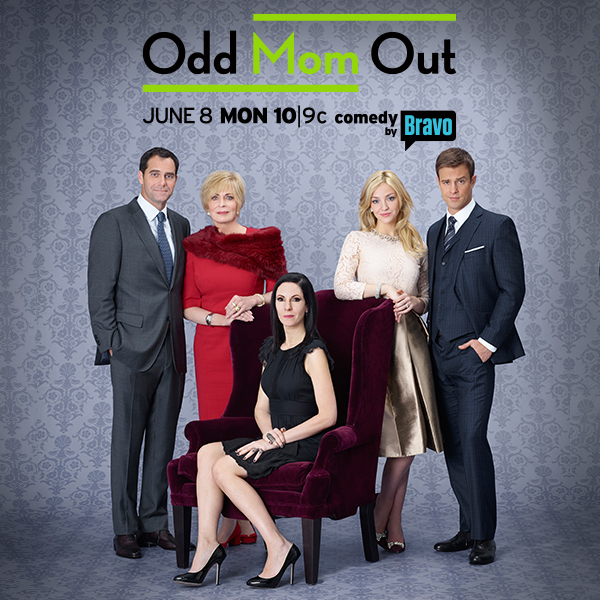 Seriously, have you seen the show yet (you can view an Odd Mom Out trailer here)? I'd been hearing tons of buzz and didn't think I'd relate to the show...then I watched the first two episodes online and couldn't stop snickering at it's satirical approach to so much more than parenting! As part of Bravo's V.I.M.s Perks Program (Very Important Moms), we will be encouraging readers to Download Bravo’s mobile app – The Daily Dish – available for Android and iPhone via your mobile store. Through the Daily Dish app, not only can you catch up on your fave Bravo-lebs, but you’ll also be eligible for exclusive VIM discounts from partners. The best thing about the Odd Mom Out premiere? Viewers have an opportunity to win $20,000 in each of the first 4 weeks of premiere episodes (starting 6/8 – 6/29) through the Tune-In to Win Sweepstakes. Just tune in live at 10/9c on Mondays (6/8-6/29) for the secret hashtag and tweet it out to @BravoTV each week for your chance to win!